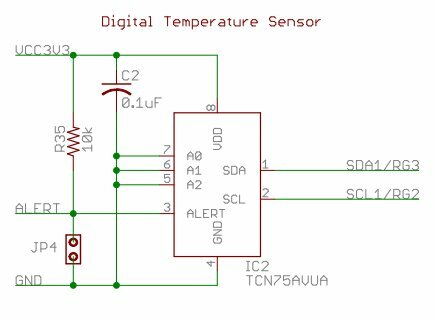 Write the code for displaying the temperature reas by Microchip’s TCN75A I2C temperature sensor on the Digilent Basic I/O shield. 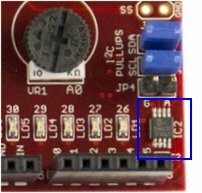 It is strongly recommended to solder headers on FRDM-KL25Z as they will be required to connect up with the Basic I/O shield. The test of FRDM-KL25Z with simple exercise such as blinking the RGB LED. 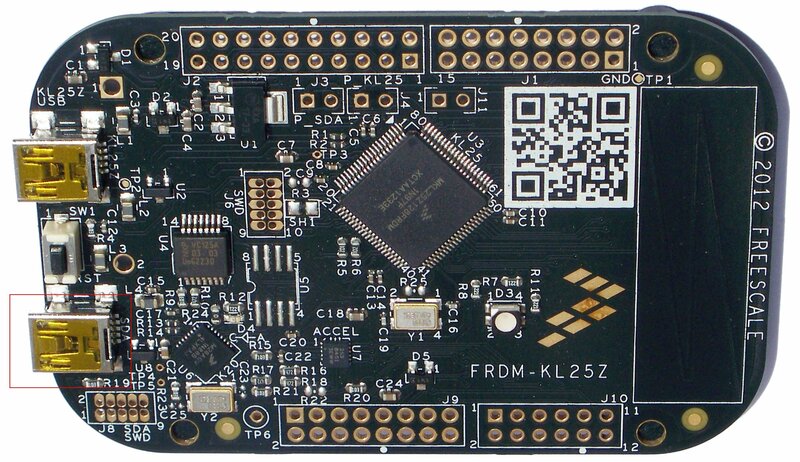 If you done neither of the two above exercises, you ought to folow the introduction “Getting Started with mbed and Freescale FRDM-KL25Z board”. Use the USB lead to connect your KL25Z to a PC, using the USB connector labelledOpenSDA. The status light will come on, indicating it has power. 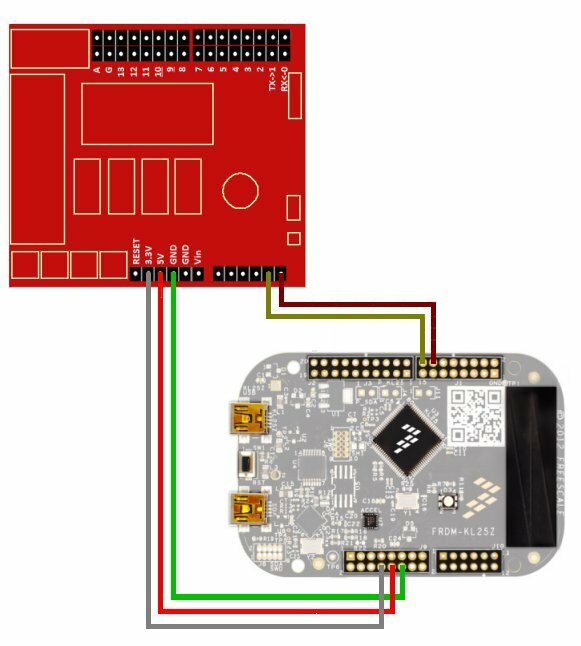 After a few seconds of activity, the PC will recognise the mbed Microcontroller as a standard USB drive. 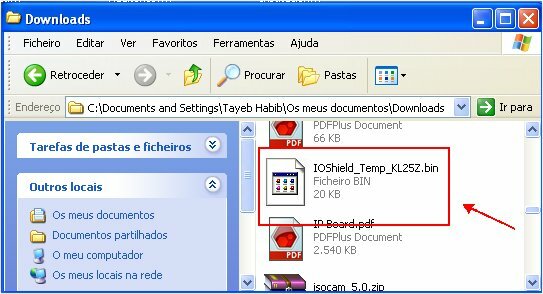 Add a new file by right clicking on IOShield_Temp program name. Give it the name of main.cpp. It is always a good idea to comment your code. 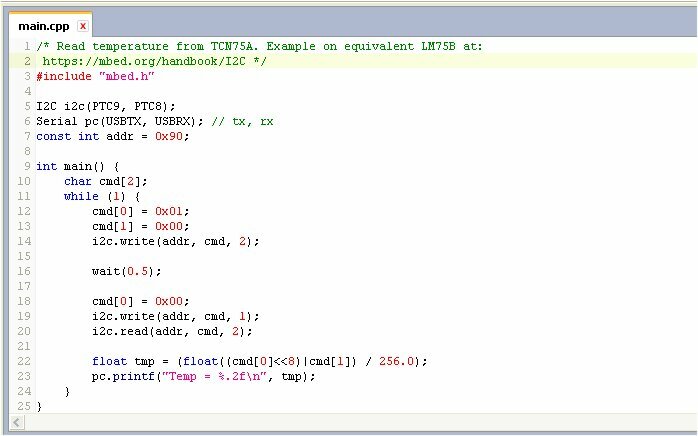 I have commented acknowledging the source of the code (in this case, the code was not written by me, although it is not “rocket science” and is used as an example of I2C code at mbed website). 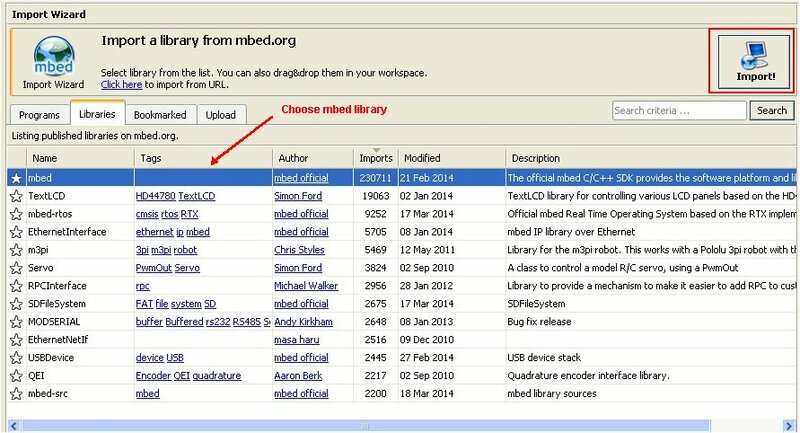 Choose mbed library and then click on Import button on the top right-side. 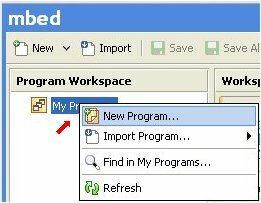 Our Program Workspace will show that mbed library has been added to IOShield_Temp program. And a binary program wil be created. Cut, or drag, the IOShield_Temp_KL25Z.bin file in your PC’s Downloads folder and paste, or drop, in the mbed Microcontroller folder, wait a few seconds for the drive folder to close automatically, and then hit reset on the microcontroller to start it running! If everything goes well, FRDM-KL25Z is programmed. Launch a Terminal program such as Putty, or Termite. 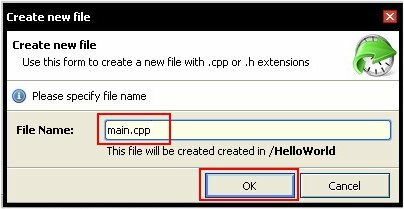 Ensure that the configuration settings of the port are Baud Rate 9600, Data bits 8, Stop bits 1, Parity none, Flow Control none. My port number is COM23 as can be seen (Termite’s port settings). My FRDM KL-25Z board is connected to port 23. The port number can be seen at Device Manager of your Windows. As shown on above figure, once the program is running, the temperature is displayed. Now by putting your finger on the TCN75A sensor on the Basic I/O Shield, it is possible to raise the temperature and to view its value. Mbed offers the development environment — editor, compiler, libraries and reference materials — entirely on the web. There is no software to install or maintain on the host system. With quick proof-of-concept solutions such as Basic I/O shield we can easily test our ideas and projects. We have the read the temperature writing code for FRDM-KL25Z board. The same system could be used to control fans or other items in a house based on specific temperatures. This entry was posted in Electronic Projects and tagged BASIC I/O, Digilent, FRDM-KL25Z, Freescale, mbed, Microchip, TCN75A, Temperature. Bookmark the permalink.